It’s our usual nature that after wearing a dress for some years, we keep it aside in the cupboard. 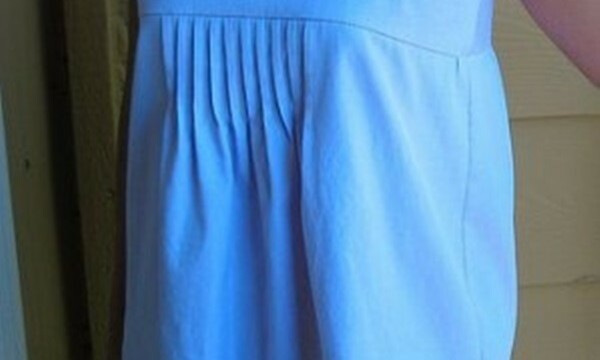 All our interest and attraction towards that dress vanishes. And at last, we give it to someone or just dump it in our dustbins. 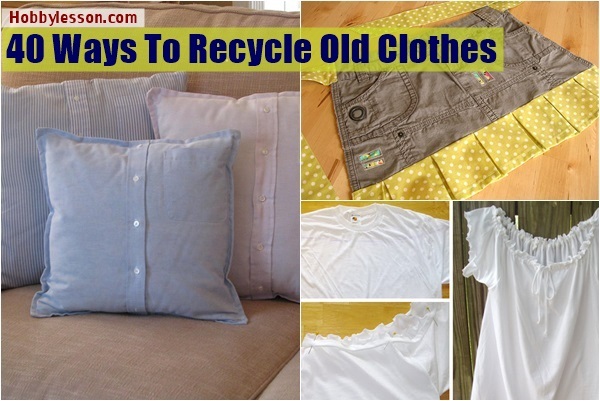 But actually do you ever think of repurposing those old clothes and giving it a whole new form? 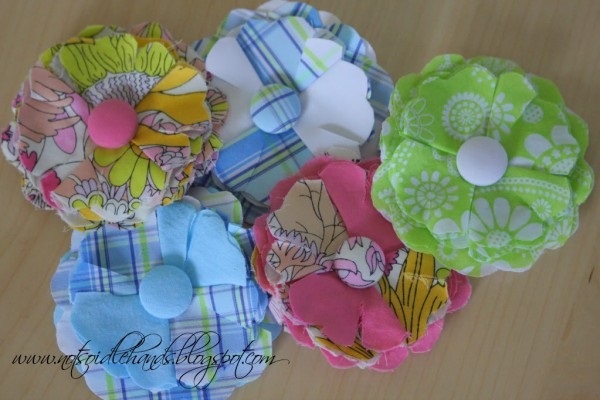 Bagging up your old clothes is not a very interesting activity but crafting with your old cloth is. 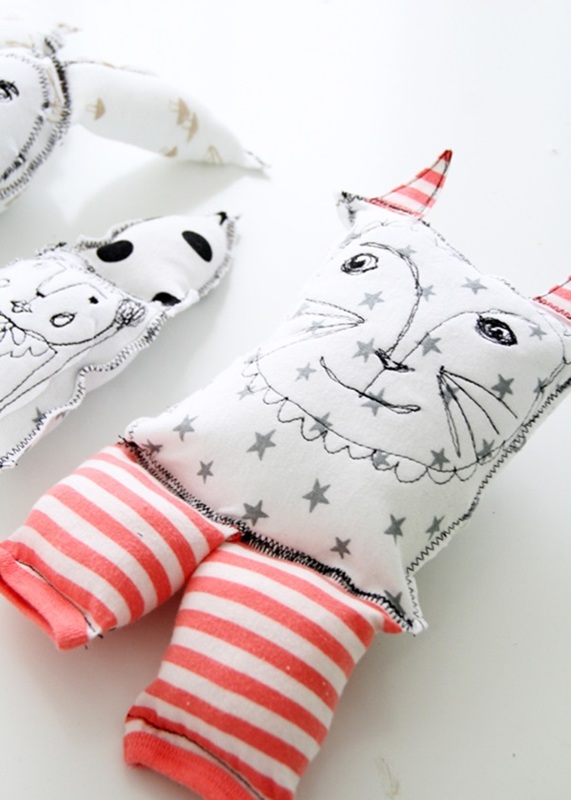 You can create various accessories, alterations, artwork according to your creativity. 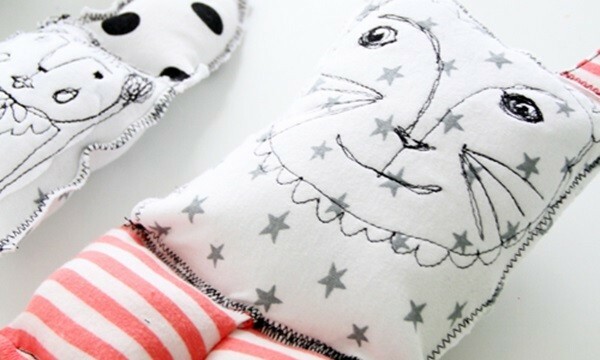 But here the main obstacle is getting ideas about that. Each and everyone don’t possess such creative ideas in mind. 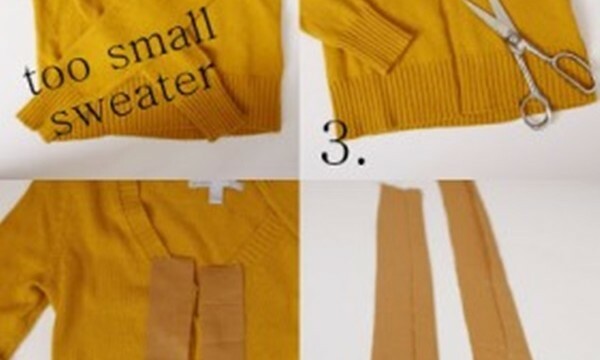 So here you are going to show you some awesome ideas which you can apply with your old clothes. 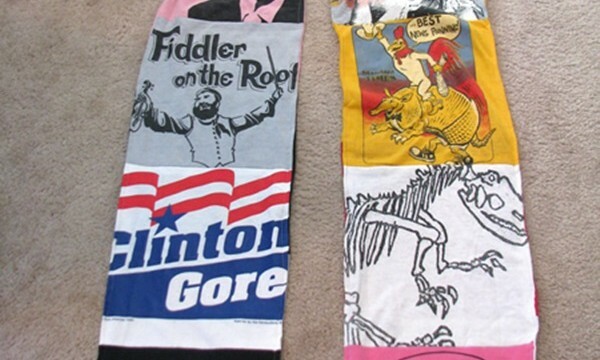 Create a cute woman’s top by using old men shirt. 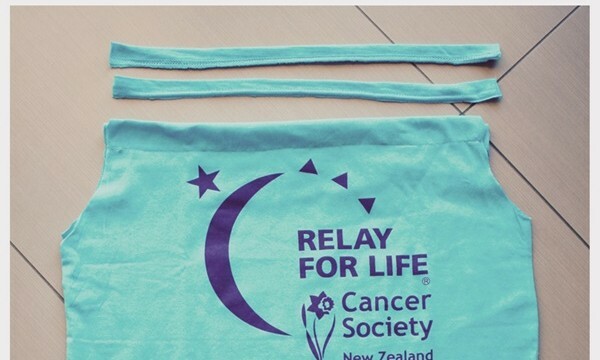 Having old unused T-shirts at home? 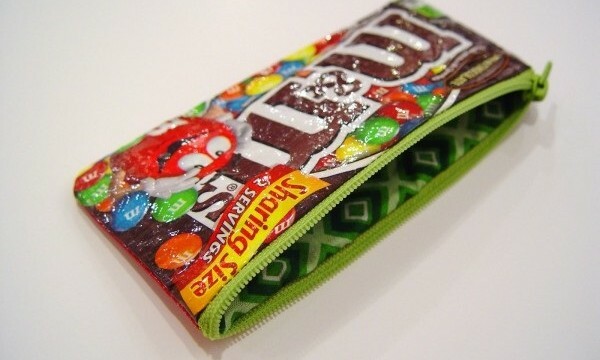 Use them to make multipurpose bags. 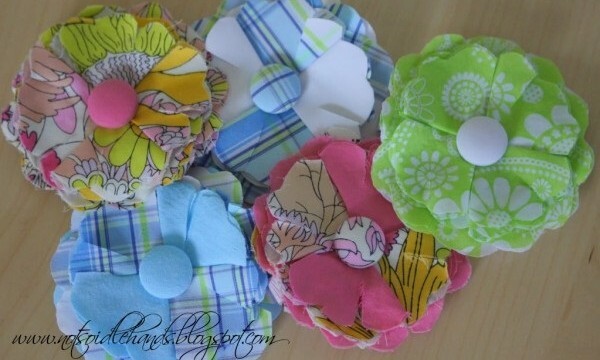 Use the fabrics from your old clothes to create cute hair posies for your hair. 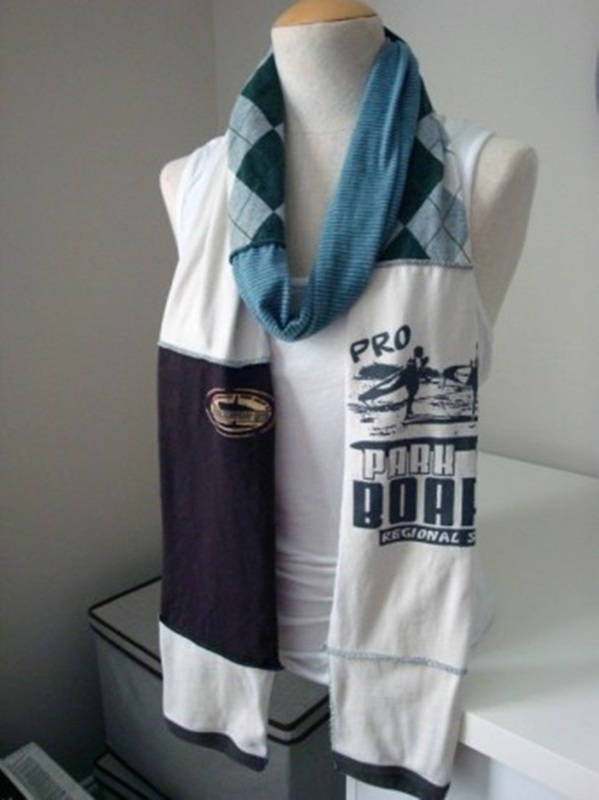 Create eye catching scarf on your own using your old t-shirts. 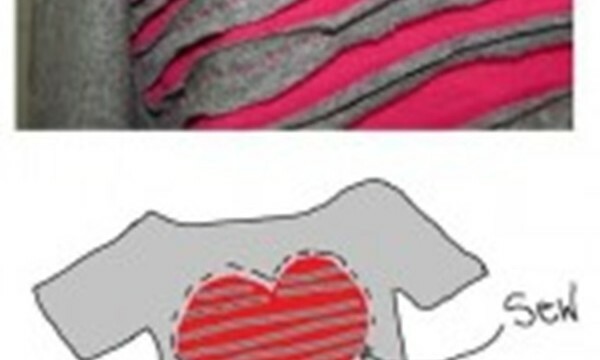 Look at the creative process to make a plain single color t-shirt into a dual color t-shirt with heart design. 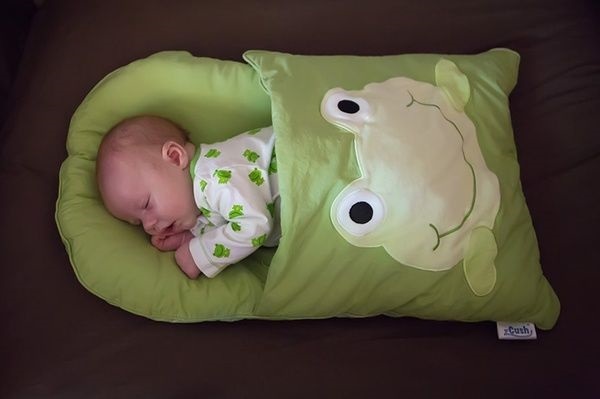 Use your old baby clothes to make out amazing stuffs. 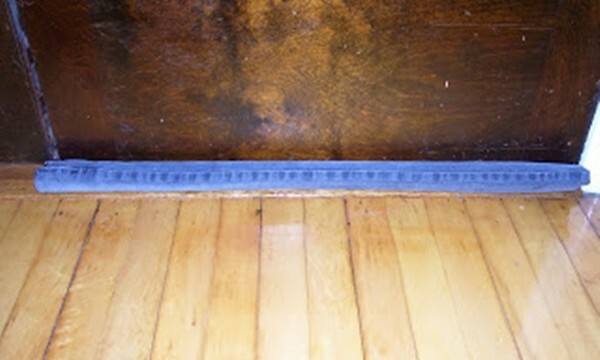 Having old, unused jeans in your cupboard? 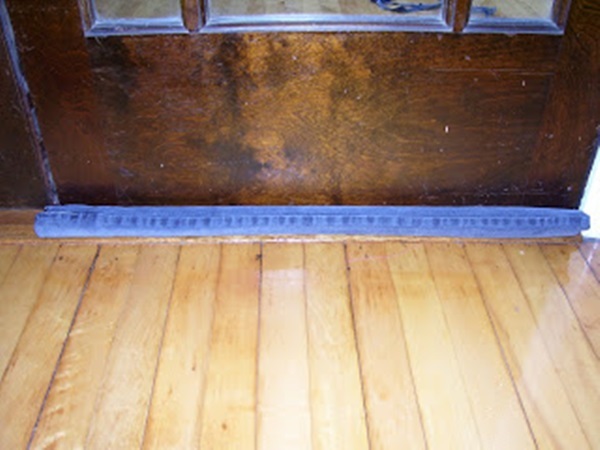 Use it to stop those under door drafts. 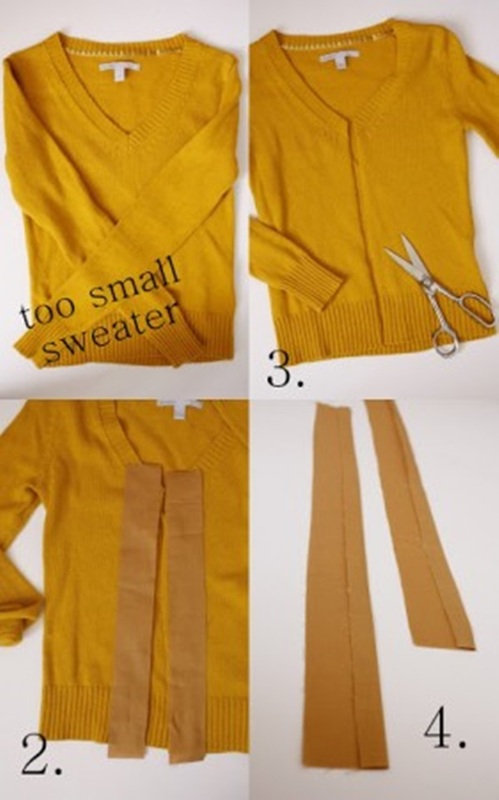 Transform your old sweater into a cardigan. 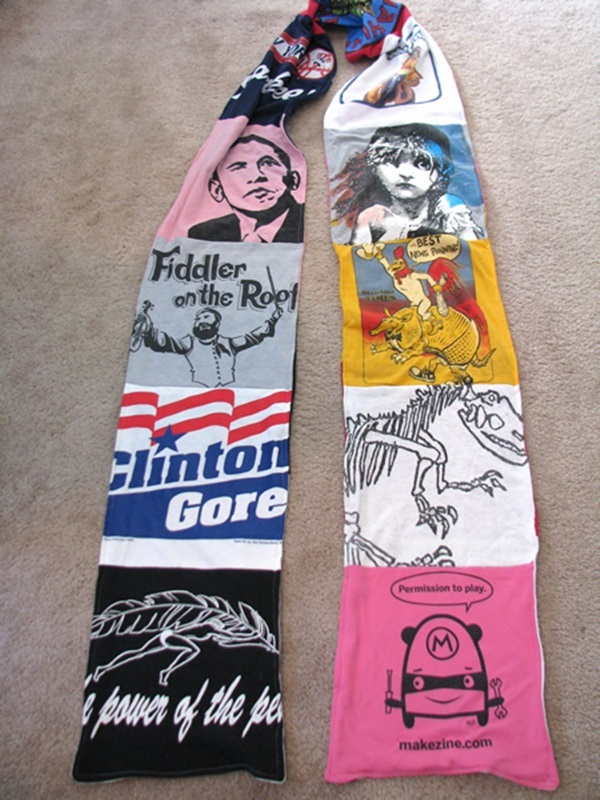 Look at this amazing tutorial to make scarf out of your old t-shirts. Can you imagine that an infant sleeping bag can also be created from an old pillow case? 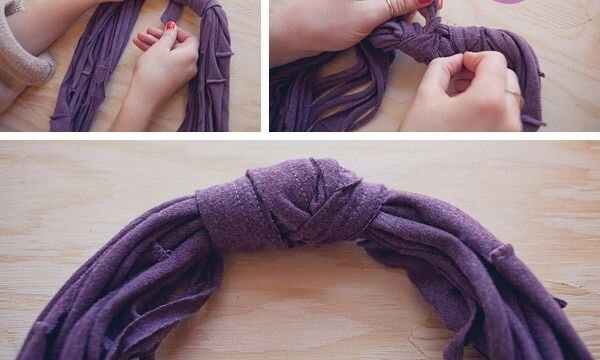 Turn your T-shirt in to a strappy. 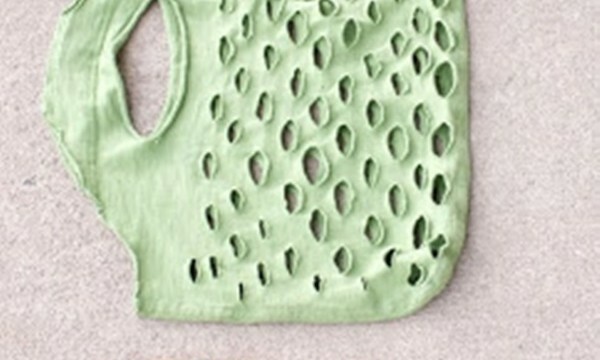 Convert your long old t-shirt into a fashionable dress. 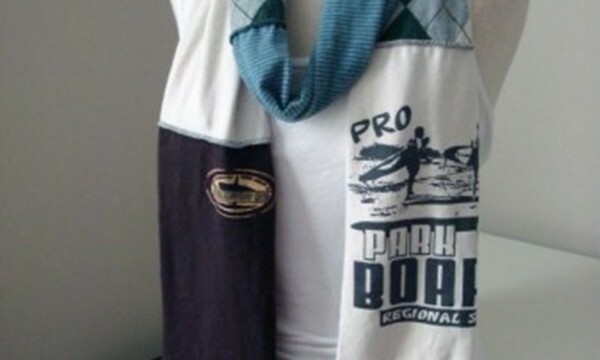 This is a very useful photo tutorial to make t-shirt scarves. 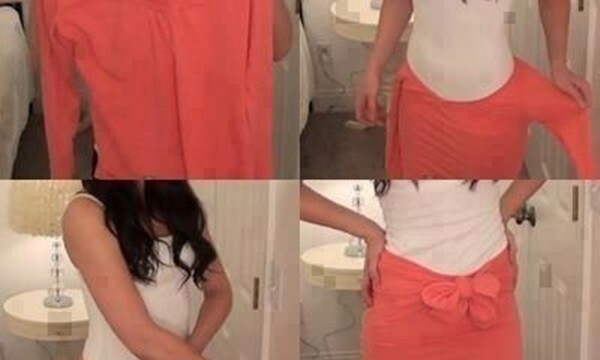 Use a wide neck t-shirt to make a wrap skirt. 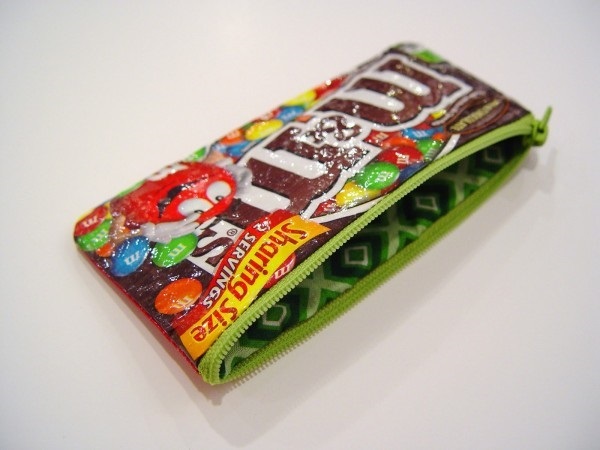 Use old candy pouches lying here and there to make a useful zipper pouch.